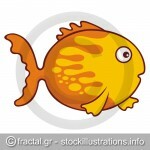 Fast food icons isolated on white background. 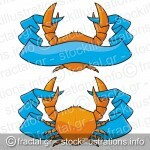 Orange crab icon with blue banner in two versions. 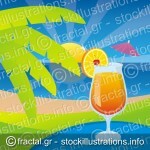 A green and an orange lizard isolated on black background. 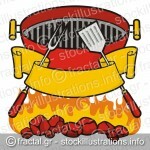 A set of barbeque icons isolated on white background. 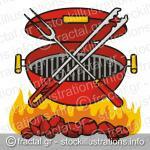 Barbeque grill over flaming charcoal, fork and spatula with scroll banner. 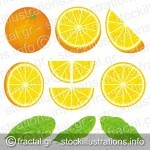 Orange and slices at different angles, also three versions of leafs all with grunge shading. 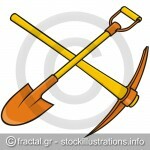 Crossed yellow and orange pickaxe and shovel icon on white background.